The internet presale has ended. A block of rooms have been reserved for October 9, 2014 – October 13, 2014 at a special discounted rate. Pinnacle’s roots go back to a chance meeting in 1997 between Greg Jones and Karl Eisenhart. Greg turned up at one of Karl’s acoustic gigs wearing a Steve Morse tee shirt and Karl instantly knew he had found a kindred spirit. They started working together less than a week later. After going quickly through two different bass players and two different band names (Dread Pirate Roberts and Landslide) and playing a handful of different clubs and private parties in Pennsylvania and New Jersey, Karl and Greg finally found Bill Fox, a bassist/keyboard player whose musical tastes and work ethic were in close alignment with their own. As a trio, Pinnacle recorded and released two CDs, A Man’s Reach and Meld. They also played live whenever possible, including backing Nick D’Virgilio (Tears for Fears, Spock’s Beard, Mike Keneally Band) at a mostly solo concert and opening for the legendary Spock’s Beard in 2003. In addition, they headlined two shows at the New Jersey Proghouse, played at Progday 2008 and opened for Poland’s Riverside. Fast-forward to 2010. The band was in the final stages of writing for their third CD when they realized that their reach had actually exceeded their grasp as a trio. Karl approached one of his oldest friends, Matt Francisco. (Please note: Matt Francisco would like it known that the term “oldest” refers to a length of time and not physical age. He would also like it known that he is younger than Karl. So there.) The initial idea was to bring Matt into the band only as a lead singer. They soon found out, however, that he was also willing and extremely able to play keyboards and that he had a gift for songwriting. In addition to adding a couple of Matt’s songs to the new CD, the band went back and broadened the scope of those they had already completed as a trio. A Blueprint for Chaos came into the world in June of 2012. 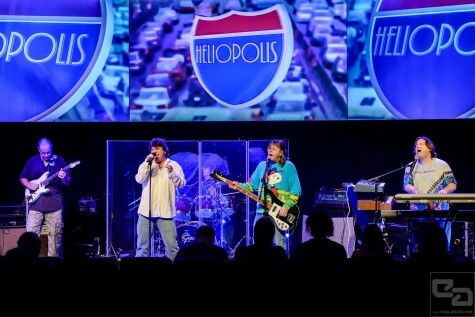 The CD-release party was held as an after-party for the final installment of NEARfest in Bethlehem, PA. This provided the band the opportunity to debut the songs in front of an almost tailor made crowd. The new album showcases the change in writing focus from trio to quartet with increased keyboard presence, but it also maintains the center of influence and attention to arrangement detail that Pinnacle has always prided itself in. 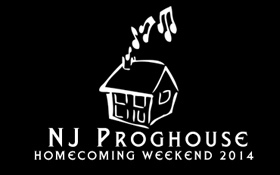 In May of 2013, Pinnacle was part of a special triple-bill NJ Proghouse show which also featured 3RDegree and IZZ Lite. This has lit the fire for the band to start pursuing more opportunities to play live while still continuing to work on material for the next CD. In October, they played a special headlining show at Rascal’s in Allentown, PA, where they played a set of their own material followed by a special presentation of Marillion’s Misplaced Childhood album. Pinnacle is featured in the Autumn 2013 issue of Progression Magazine. During the summer, the band performed at about ten festvals, some of the more well-known being Progday, Camp Jam in the Pines, and Evolvefest. Now, with the winter approaching quickly, the band is working on recordings for a new album and planning to revamp its live set for 2014. Since the release of Chalk Lines, McStine has toured internationally as lead vocalist/co-guitarist of The Pink Floyd Experience, along with filling the live guitar role for Sound Of Contact. Lo-Fi Resistance is set to release a new record, The Age Of Entitlement, in September 2014. This collection sees McStine reaching into different musical territory once again, pulling influence from ’70s electronic music, art-pop, and more. Described as a “mini-album”, The Age Of Entitlement will be a digital-only release. 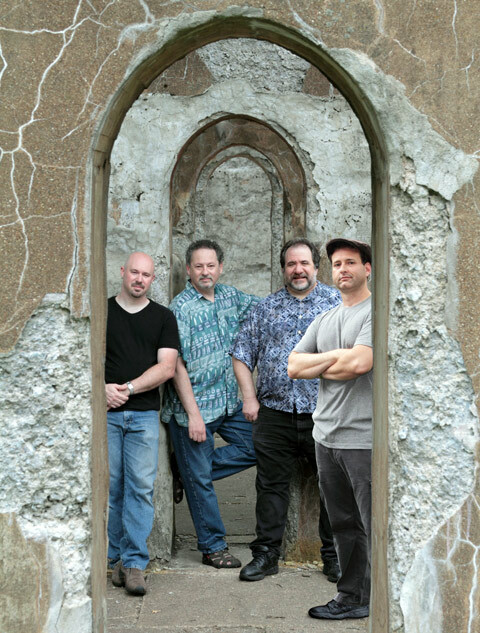 With six studio albums and two full-length performance DVDs, the award-winning Travis Larson Band is firmly rooted as one of instrumental music’s premiere acts, having worked on record with Steve Lukather (Toto), Victor Wooten (Bela Fleck), Dave LaRue (Joe Satriani, John Petrucci, Dixie Dregs), Vinx (Sting, Herbie Hancock), and having shared live billing with Ted Nugent, UFO, Steve Morse (Deep Purple, Dixie Dregs), and Ronnie Montrose, to name a few. Travis Larson Band’s recent release, Soundmind, earned accolades as Guitar Player Magazine “Editor’s Top Three” in 2011. Well-known for their live performances, the Travis Larson Band masterfully delivers full-throttle rock-fusion that soars with originality and, some say, has the power to unshackle the listener of the chains that bind them to the doldrums of day-to-day living. Boston-based band Schooltree’s eclectic sound picks up where progressive rock of the late ’70s left off, sometimes described as sitting at a present-day intersection of Kate Bush and early Genesis. Female-fronted, musically adventurous, and highly immersive, their music delivers classically-influenced art rock with a unique and defined voice. The effect is a vivid theater of music, using dramatic performances to spin gritty operatic odyssey—from dark lullaby of the doomed to shredding anthem of the righteous and everything in between. Formed in 2010, Schooltree’s music explores the human condition through the lens of composer/vaudevillian/studio engineer/genre-misfit Lainey Schooltree (The Steamy Bohemians, Jerkus Circus, Bent Wit Cabaret), whose years of songwriting chops, stage experience, and an obsession with rock music from classic to obscure all inform her leadership of the band. Membership comprises heavyweight musicians Brendan Burns (guitar), Derek Van Wormer (bass), and Tom Collins (drums), each of whom brings a singular talent and craftsmanship that shapes and defines the ensemble’s musicality. Their live show travels through musical narratives with climactic dynamic arcs, executed with tastefully restrained technical proficiency. Released in 2013, their debut album, Rise, conjures elements of rock-opera in highly crafted, piano-driven, virtuosic guitar-laden symphonic rock arrangements that explore both angular riffs and ambient textural detail. The album offers a modern spin on classic Album Oriented Rock, with rich harmonic content, walls of multi-tracked guitars and acrobatic vocal harmonies, compelling lyrical content, and subtle humor. Produced and mixed by Lainey, Rise’s sonic textures are shaped as carefully as the songs were composed. With delicate spectral balance and rich, analog textures, the music has an “organic-electric” feel, evoking vintage recordings while still being informed by contemporary influence. The album is intended as a continuous listen, with a flow from song to song that creates an atmosphere of pilgrimage across diverse landscapes, juxtaposing both concept and sound. Meridian Voice was born when founding members Paul Briscoe and Adrian McCloskey connected with keyboardist Lloyd Landesman via a Craigslist ad in 2007. After a search for the right guitarist, Randy McStine joined the group in 2008. The next two years were spent crafting their debut album, Atypical Symmetry. Released in late 2010, the album has sold well and received airplay on various stations around the country. Meridian Voice’s strength not only lies in its great musicianship, but its musical compositions. Tunes are tight and melodically to-the-point, with improvisations that key in on musical economy. Imagine Weather Report, Tribal Tech, Return To Forever, and Jeff Beck mixed together to create a powerful musical experience. 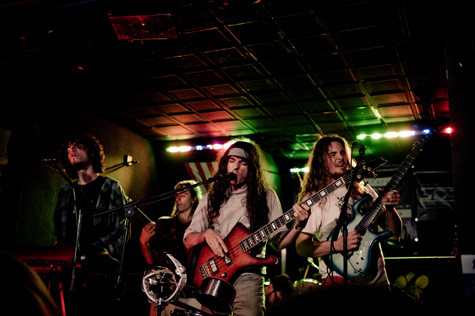 In January 2013, the band went through a personnel change with the guitar and drum chairs changing, featuring Alek Darson on guitar and Rocky Bryant on drums, performing their first show at the New Jersey Proghouse in April 2013. Since then, the band has been writing and recording new material for the next album. To reflect the member change, the band is now called MVP (Meridian Voice Project). Individually and collectively they have worked and/or collaborated with Edgar Winter, Johnny Winter, Clarence Clemons, Bruce Springsteen, The Police, Steve Khan, Marcus Miller, Will Lee, Anton Fig, Carl Perkins, Sam Moore, Lonnie Mack, Los Lobos, John Tropea, Kings X, Billy J. Kramer, The Fabulous Thunderbirds, Ellen Foley, Anthony Jackson, Andy Newmark, Mick Jones/Lou Gramm (Foreigner), Ian Gillan/Roger Glover (Deep Purple), Rod Stewart and The Faces, Jethro Tull, Squeeze, Michael and Randy Brecker, Lenny Pickett, Sean Pelton, Paul Shaffer, and many more. Discipline are an independent rock band from Detroit (not to be confused with the moniker that Robert Fripp used pre-Discipline with King Crimson). Since forming in 1987, the band (formed by lead singer and keybordist Matthew Parmenter) have performed and recorded together in a strictly DIY fashion via their indie label, Strung Out Records. The band’s debut album, 1988’s Chaos Out Of Order saw the band (with Parmenter and guitarist Jon Preston Bouda) laying down the foundation for the sound that would be at their peak with both their 1993 CD, Push & Profit, and 1997’s Unfolded Like Staircase. These albums, with members Mathew Kennedy on bass and Paul Dzendzel on drums, reached an international audience, allowing the band to perform not only at many US-based progressive rock festivals but countries outside the USA, including Norway. 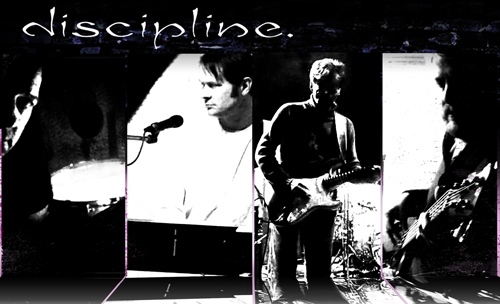 Discipline’s now-legendary live shows were memorable for unusual theatrics, with lead singer Matthew Parmenter (a.k.a. the Magic Acid Mime) made-up in mime face and wearing different costumes for songs. Following the band’s fracture in 2001, Parmenter began a solo career. Although Parmenter’s Astray and Horror Express have hints of the old-school Discipline sound, they didn’t capture the magic of the full-band format. After nearly ten years of silence, Discipline came back to perform at NEARfest 2008 (the Northeast Art Rock Festival). Discipline also performed at RsSfest 2012 (the Rites of Spring progressive rock festival in Gettysburg, Pennsylvania). With some songs from the old days still in the band’s closet, the four-piece decided to dust those tunes off along with some brand new songs. Released in October of 2011, To Shatter All Accord hints back to the band’s most famous album, Unfolded Like Staircase. 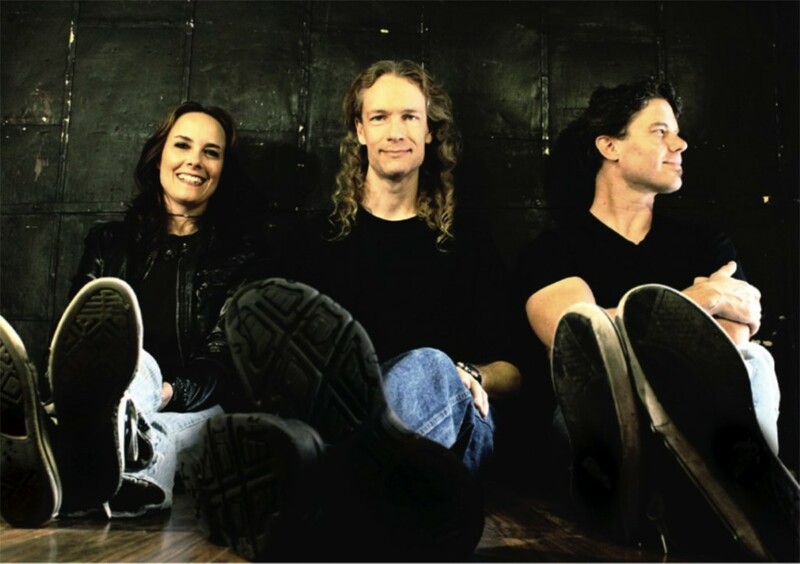 The ’90s-era tunes (“Circuitry” and “When the Walls are Down”) showcase the band’s style but do so in a much more mature way. The three new songs (“Dead City,” “When She Dreams She Dreams in Color,” and “Rogue”) present not only Parmenter’s Hammill-esque vocals but, perhaps even more so, the band’s instrumental prowess. The band isn’t interested in flashy solos; the song is the most important thing—not too much, not too little. There’s not one band member who doesn’t bring out the best in the others. 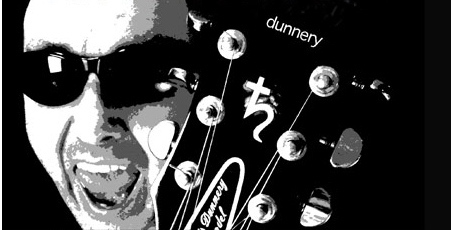 Bouda’s guitar playing enhances Kennedy’s bass, which influences Dzendzel’s drums, which only strengthens Parmenter’s keyboards and vocals. For a band to return after 10+ years with an effort this strong is a rarity. To find a band firing on all cylinders, almost like they never broke up, is nothing short of amazing. To Shatter All Accord not only matches the band’s previous effort, but with Parmenter’s engineering skills improving substantially since Horror Express in 2008, this may be Discipline’s greatest statement yet. In 2014, Discipline released its first full-length live recording, This One’s For England. Recorded live on May 5, 2012 at the Majestic Theater in Gettysburg, Pennsylvania (RoSfest 2012), This One’s For England presents some of Discipline’s best-known progressive art-rock epics in a two-disc set. 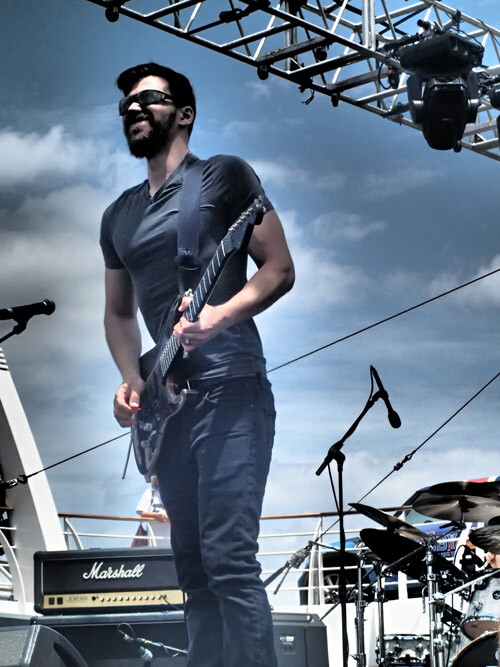 Chris Herin, founder of the progressive rock band Tiles, will support Discipline on guitar during its 2014 shows.